How to get in Lapland? The tourist territory of Lapland is located on the lands of Finland. If you want to save considerably on a winter trip, then start picking yourself a hotel or a cottage house in the summer. The difference between early and late booking will be colossal. In the New Year period, prices exceed the summer prices by 4-7 times. Booking tickets for an aircraft for the same reasons as a home, it is better to think in advance. Even if the desire to get into the world of Lapland magic will arise when prices are already seasonal, believe me, you will not regret for a moment that this direction has been chosen. 1. The Magic Town, it's Santa Park, located in the cave itself. This is a place in which not only a child, but an adult can go through the school of elves and get a document about it. Also here you can visit the office at Santa Claus and tell him about your most important desire, and then go to the workshop of elves and sew with them a commemorative toy. 2. Fairy village, which is the residence of Santa Claus. 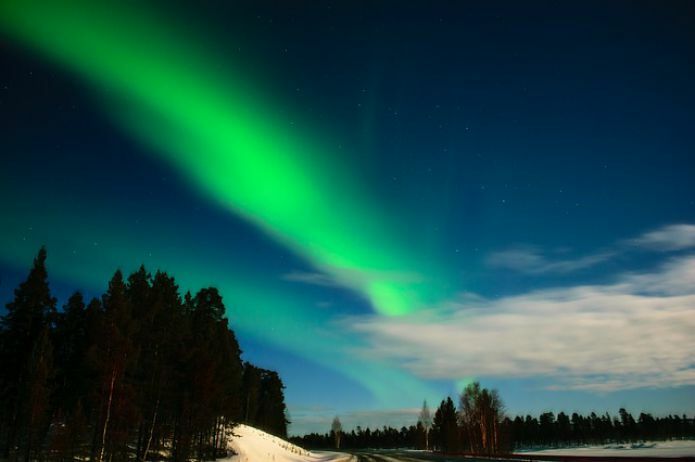 It is located not far from the capital of Lapland, Rovaniemi. Everything in the village of Santa Claus is decorated with garlands, luminous lanterns and shiny toys. - Sledding in the village harnessed to deer or dogs. - Ice slides at any age lure in the main square of the village. - A warm welcome at Santa's house with photos and video shooting will long remind the fabulous beginning of the New Year. - Souvenir shops, filled with ethno-souvenirs of the Finnish people, will devastate the purses of tourists, because it will be impossible to limit one of the proposed. 3. Animals are inhabitants of the magical north. Not to visit the Zoo of Lapland, called Ranua, will be a big mistake. Its inhabitants are otters, white and brown bears, lynxes, deer, wolves, wild boar and other northern animals. Choosing such a popular country for the New Year holidays, be sure to stock up warm underwear, down jacket and warm boots, because the climate in the far north is quite severe. The cave is really a fairy tale, they say that they extracted ore there.